My friend says, and I agree with him, that black olives, delicious alone, have a totally different taste when they are sliced. How can this be? 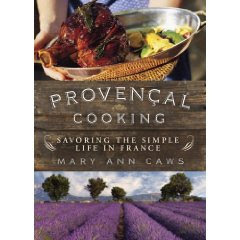 This is the kind of thing I try to talk about in my new book, Provençal Cooking: Savoring the Simple Life in France, out in November with Pegasus Books.